We organise and carry everything. All you have to do is ride! 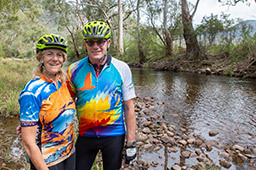 Safe, serene and stress-free, Mulga Bicycle Tours offers fully supported cycling tours on some of the best routes in Australia. Bask in the beautiful scenery, savour delicious food and wine, discover unforgettable stories and relax in marvellous accommodation. Small groups and a firm commitment to safety make for a superb experience for cyclists of all abilities. 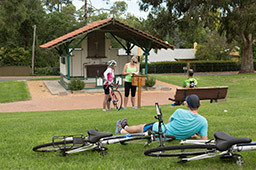 Jump on your bike for a hassle-free, relaxed-pace Australian cycling holiday with Mulga Tours. 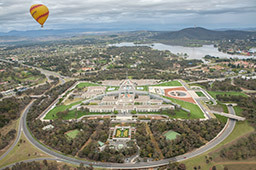 With our fully supported biking tours through South Australia, Victoria, New South Wales, Australian Capital Territory and Queensland, get ready to see Australia in a whole new way. 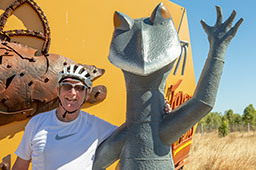 For travellers who like the good things in life, Mulga Bicycle Tours offers an intimate, relaxed and safe way to enjoy Australia. Perfect for all abilities, our guided cycling tours are about stunning landscapes, good food and wine, fascinating stories and happy memories. "There is a charm in cycling touring which appeals to us more strongly than any other branch of the pastime and few people who have once tried it will be able to resist its fascination. Sarah Maddock, NSW Cycling Gazette, June 19, 1897." Sarah Maddock was the first woman to cycle from Sydney to Melbourne in 1894.